Oh, yes. *That* book. I have been thinking of you, Tina, and your desire to find out about this rare and elusive book. I started a review, and then decided I wanted to re-read it before continuing. It’s an interesting novel, but I must say that on this first reading I thought it not nearly as strong as Cambridge’s others. It concerns a young woman, Angela, who travels to the West Indies to live with her married cousin as a “home help”. Angela falls in love with Paul Dufresne, and in doing so sets up a chain of tragic events stretching forward for years and affecting herself and everyone around her. There is a subplot concerning race relations on the fictional West Indian island of the setting which comes to a smoldering climax at the end of the story; a certain element of melodrama is evident throughout the novel, and I believe I summed it up in my as-yet incomplete review as a “Caribbean Gothic” of a tale. It is beautifully written, as I had expected it to be, but it doesn’t feel quite right in its characterizations; too much is “tell” and not enough “show”, but the fact that it is written in the first person throughout might account for this. There we go – I think I wrote my review! Seriously though, I’d like to re-read it and see how it feels second time round. This first time it gets a fairly low grade from me, but it could have been due to my own mood; I was hoping for something a bit more “light”, more optimistic, and this is ultimately a tragedy tale. The novel appeared under two titles: Portrait of Angela in 1939 in Great Britain, and Mrs. Dufresne: A Romance in 1940 in North America. I hope this helps to appease your curiousity! I am still disappointed that this writer wrote so few novels, and that they are so darned rare. I think she was not nearly finished with what she had to say; even a “poor” novel such as this one turned out to be for me is a fine piece of writing – it reads like Cambridge is pushing her own boundaries and experimenting here – and I am saddened to think that there was no chance for us to see where this writer would have gone next. 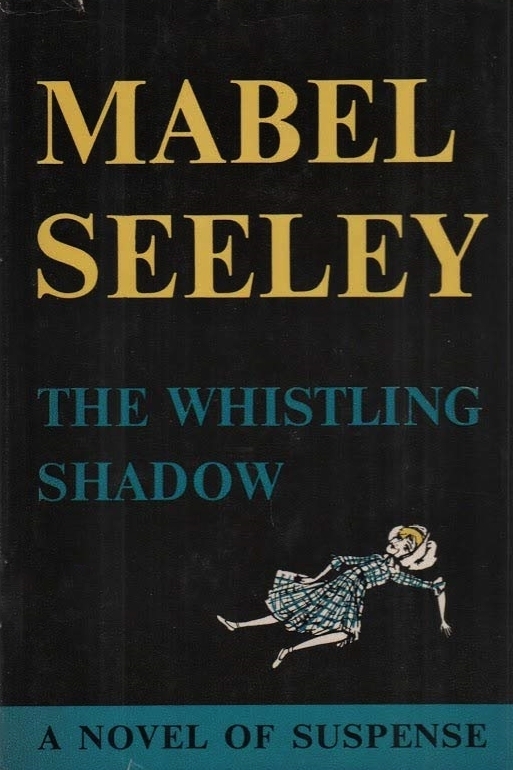 I had never heard of Mabel Seeley before but this book sounds like a good choice for a winter evening. That said, we here have yet to see some real sign even of autumn! Yes, I’m looking forward to reading more of Mabel Seeley’s novels. My first experience with her, too. We are in full fall colour here. So beautiful! I will post a picture I took yesterday when we where out visiting my sister-in-law.